It was a picture perfect summer day at the Kiawah River Course for Jocey + Mark's wedding! 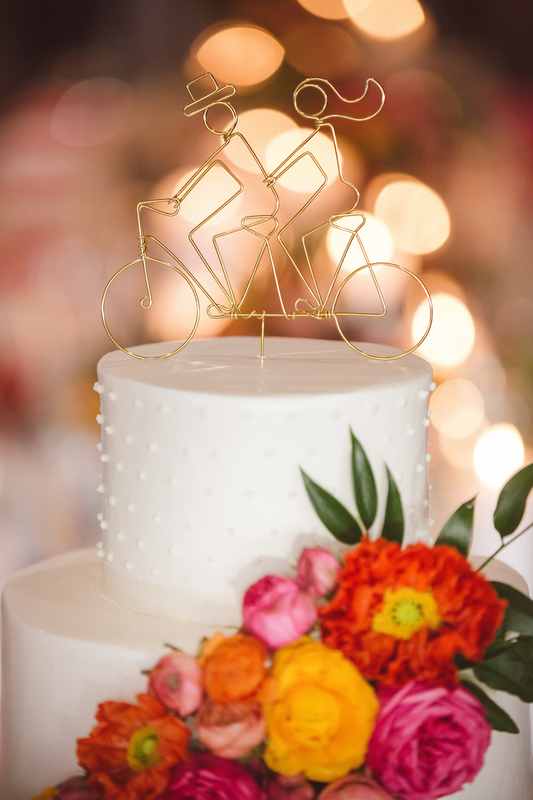 The international couple met in London and invited their guests to join the celebration as they tie the knot on Kiawah Island. 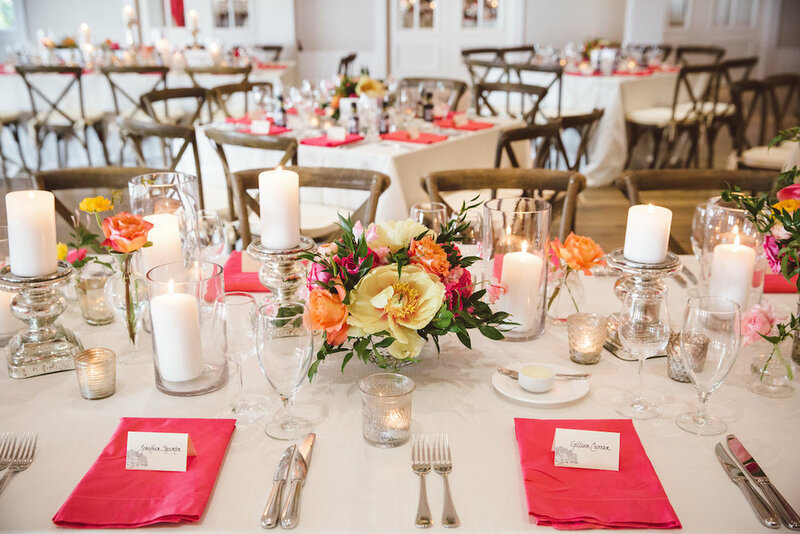 The bridesmaid's dresses complimented their colorful bouquets, coinciding with the patterned coral linens by La Tavola. The couple opted out of a first look, which made for an exciting walk down the aisle with the golf course as their backdrop! The centerpieces were flawless; topaz coral napkins and cocktail table linens tied in the colors of the floral masterpieces created by Branch. Table settings were accompanied by mini bottles of olive oil as a favor for each guests as a thank you from the bride of groom. The bride and groom stole away for gorgeous sunset photos before the cake cutting made by Sablee. The energetic band, The Maxx got guests on their feet for the remainder of the night and the newlyweds had a fun flower petal toss as their exit as the rode off in their "Just Married" golf cart. Best wishes, Jocey + Mark! Thanks to all our fabulous vendors!